Whether you are looking for a statement piece of art or something for that empty space on your wall, our Hertfordshire art gallery is bursting with beautiful artworks to suit all interiors and budgets. From traditional to contemporary, paintings to sculpture, a wide choice of art awaits you including the world famous Frogman bronze collection. Set in a Grade II listed building in Kings Langley, our art gallery offers a unique personal service in a relaxed and friendly environment. With complimentary home viewings, art consultations and zero % finance, our excellent service makes choosing art for your home or business stress-free and enjoyable. The annual Mother’s Day release from the Tim Cotterill has been unveiled and it is a stunner! 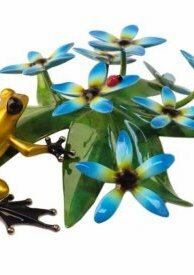 ‘Forget Me Not’ features a vibrant gold frog gazing in wonder at a cluster of delicate wildflowers. Saturated green leaves provide the ideal contrast to the subtle blue patina of the flowers. This eye-catching sculpture will make the most dazzling centrepiece. If you have smaller, mini frogs in your collection, these can be placed around ‘Forget Me Not’ to stare at the five ladybirds and make it really come to life! The latest limited edition by Leigh Lambert has been released and it is a must for all Lambert fans. 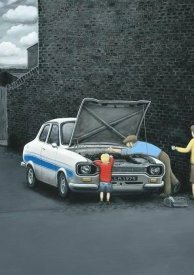 'What Does That Part Do' captures childhood memories in Leigh's unmistakable style with splashes of bright colour against a monochromatic background. 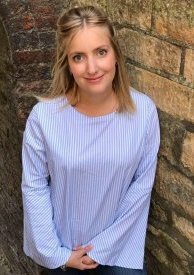 You can meet Amy on Saturday 1st June 1-3pm when she will unveil her new collection of original wildlife paintings. Amy is recognised for her quirky animal portraiture; She uses an illustrative style to capture the unique personalities, of each of the animals she paints. The vibrant colours of the characters immediately catch your eye against the neutral Farrow and Ball backgrounds - an interior designers dream!